8 Easy Web Design Steps | Do I Need to Hire a Web Designer? A quality website is a critical business tool that can help drive your company's growth. Following a "well-structured web design process" will help you increase the likelihood that your website will be successful. Define the purpose and goals for your business website. 2. 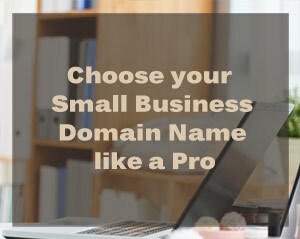 Select and register your domain name. A domain name is a unique address on the internet. By registering a domain name, you reserve the right to use that name to identify your website. A domain name is not the same thing as a website. Shorter is better. Strive for 20 characters or less. Avoid hyphens and numbers. People may forget to type in the hyphen and numbers are confusing. Make it easy to spell and pronounce. If you told someone your domain name over the phone, would they remember how to spell it? All websites are driven by content. It's important to gather images and text to entice visitors to your site and drive them to action. Identify keyword phrases that are relevant to your business. Include these keyword phrases in your content to help attract visitors and search engines. 4. Design your website for your intended audience. You're ready to start mapping out the major sections of your website. Drawing out quick diagrams is a useful way of doing this. A diagram can easily show the hierarchy of your website and how the various sections are related to each other. Build fast-loading web pages with clear, consistent navigation. Be sure your pages are optimized for the search engines and your images are optimized for the internet. You can utilize an HTML editor such as Dreamweaver or learn HTML and CSS to build your site. HTML is the building block of a web page. CSS is used to style it. If you have limited HTML and CSS knowledge, you could choose a Content Management System (CMS) such as WordPress to build your website. Before officially launching your site, do a thorough testing of your links and spelling. A sitemap is a web page with a list of links to all your other web pages. It will help visitors and search engine spiders find pages on your site quickly. 7. Find a website host and upload your pages. You will need space at a web host to store your files and make it visible to the public. You can host your site where you keep your domain name or choose someplace different. Publishing your website is a matter of getting the web pages you have created up to the web host. You can do this with tools that come with your hosting service or with an FTP Client. Facebook, Pinterest and Twitter are popular social media networks for businesses. Creating a monthly e-mail newsletter is a great way to keep in touch with your customers, generate trust and build your business. Find websites in your general niche and request a reciprocal link to your website. How to know if you need to hire a web designer? Do the terms domain name, web host, social media, keyword phrases, SEO, HTML, and CSS still confuse you? Do you often get frustrated as you try to find your way around the internet? Do you want your website to be unique? Do you have a hectic daily schedule? If you answered "YES" to these questions, you will likely need the assistance of a web designer. See How to Choose a Web Designer. Check out ourWeb Design Services.